Big banks have always been averse to risk. They also tend to view small and medium-sized businesses as high-risk, choosing to restrict investment, in terms of both lending and services, for the SMB market. A 2015 credit survey by the Federal Reserve found that smaller institutions were 18 percent more likely to approve a small business loan than big banks, while SMBs that did work with big banks reported an uninspiring 51 percent satisfaction rating. While banks are not always helpful to SMBs, there are other options for the services they deliver. The good news for SMBs is that everything from small business loans to payments, payroll to point of point of sale suddenly has competition in the form of fintech. Fintech is creating competition in a financial services market which would have seemed highly inhospitable to budding providers just a few years ago. 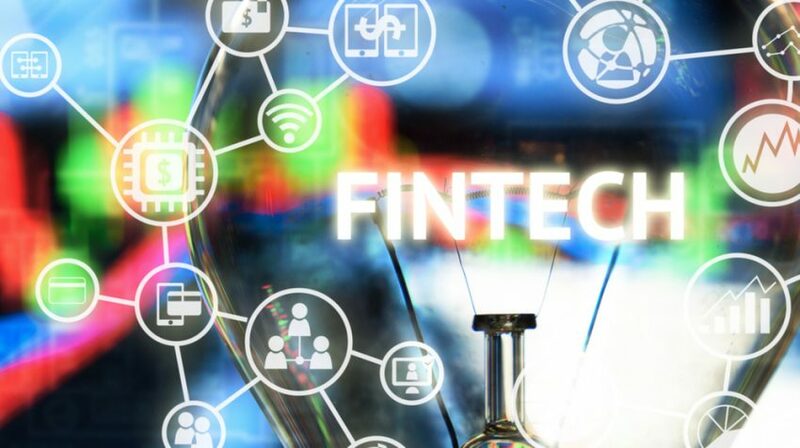 Some fintech companies are thriving providing specialized, effective services, from lending to payments and everything else SMBs need to thrive. Some of the results are stunning, with fintech companies that were themselves small businesses rapidly expanding into the service vacuum left by big banks. Companies shaking up the SMB lending market include Kabbage, which has processed over $1.6 billion in SMB loans, and Lendio, which secured $20 million in funding in October. Sweden-based payments provider Trustly is processing transactions at an annualized run-rate of over €3.5 billion. Clearly, their market is large, and investors see continued growth. So who are their customers? Trustly’s Chief Commercial Officer, Johan Nord, sees them as regular SMEs, with an appetite for growth, that want a a cost-effective, easy, and effective system for payments. For the most part, fintech companies have not not fought the big banks for their traditional lines of business, like big business credit, and residential mortgages, but there have been fintech entrants even to those markets, in addition to those supplying under-served or newer markets like eCommerce. Micro-lending innovator Muhammad Yunnus won the 2006 Nobel Peace Prize, and fintech has brought this disruptive financial innovation to a range of markets, including SMB loans. Competition from fintech not only increases the availability of financial services, it can also promote lower prices, and create new services through tailoring or packaging for specific markets, as well as innovation. Fintech can also deliver other benefits, like speed, security, and convenience. Applying technology to financial industry challenges often means using innovations in encryption and other areas of security, or algorithms which help analyze opportunity and risk. Some of the specific benefits of fintech vary between different financial services, and some are more or less common to the type. Technology can lower barriers and costs, and enable new or different service models, including tailored solutions. Just in lending, social lending and algorithmic credit assessment have increased availability for small and medium-sized businesses. New models of financing are also enabled by fintech. Peer-to-peer lending platforms lower the scale barrier that has blocked many SMBs around the world. Companies like US-based Funding Circle or Prosper Marketplacehave facilitated tens of thousands of peer-to-peer business loans. SMBs are benefiting not only from access to financing, but in some cases from superior rates, spurred by both the removal of intermediaries and competition for early market share. In payments, fintech is deeply connected to ecommerce and international commerce, enabling cross-border sales without creating major challenges related to transaction speed or currency conversion. By enabling ecommerce for SMBs, fintech holds the key to rapid growth for companies slowed only by the size of their local market. A company successfully serving a local niche may simply repeat that success in numerous similar markets in different locations if it can manage to take payment and deliver the product or service from a distance. For many small and medium-sized business owners, the same kinds of scale issues that make borrowing harder also present cost challenges. There are very few opportunities for SMBs to cut costs without sacrificing the quality of core products or services. Getting a slightly better rate, or a slightly more efficient service, can be the difference between good margins and no margins. Savings can be found in competitive areas of the business services market, and in emerging services that do something in a new, more efficient way. While fintech has increased direct competition with the big banks face in a number of services, fintech can also reduce the number of steps in a process, as Trustly does by providing a bridge directly between customer’s banks, and the merchants they want to pay. Those efficiencies, from avoided fees to middlemen to fraud reduction, all save businesses money. Since all of the money saved in business expenses is either added to the bottom line or redirected into funding other areas, finding ways to receive the same or better business services for less money is a huge opportunity. At this point in the development of the market, SMBs are positioned to join the front line, benefiting from that opportunity, with fintech. With a little extra time to shop around, you can take advantage of new and improved market for financial services. – For SMEs new Payment Initiation Service Providers (PISPs), like Trustly, offer the efficiencies that comes with new and innovative electronic payment solutions. Trustly’s service enables consumers to pay for goods and services online directly from their bank accounts, without the need for middlemen such as a credit or debit card, with bank level security to and from anywhere in Europe. The product is free for consumers, and has the added safety feature of not storing any of your valuable details, and for SMEs, such as e-merchants, it eliminates risk and fraud issues. The Trustly user interface can be integrated into the merchant’s web page and visiting consumers can pay from their local bank using their traditional login details, on any device. – Trustly’s technology allows SMEs to expand from one country throughout Europe at no extra cost, effectively making them pan-European. It is all managed through one agreement for all markets, thereby reducing administrative costs. Since Trustly manages the entire payment process, it enables instant and painless refunds for merchants. It affords SMEs other functions too, such as enabling payments to be delayed until certain criteria have been met or splitting payments between different providers in the value chain.